Earlier this year I posted on work by Gregory Doudna arguing that the Dead Sea Scrolls were not a repository of a sect (Essene or otherwise) dwelling at Qumran in the first century CE. I still have more work to do on his article but till then anyone interested can catch up on Doudna’s own exchanges with some of his critics and others at The Bible and Interpretation‘s Deconstructing What We’ve Always Been Told About Qumran. It is misleading to speak of a single “main period of habitation” of a single group or community at Qumran which ended at the time of the First Revolt. Analyses of pottery, language, women, dining, animal bone deposits, and scroll deposits surprisingly converge in suggesting a different picture: the true “main period” of activity at Qumran was mid- and late-first century BCE. It is interesting to read the way a few established figures can guard the conservative range of permissible scholarly views in this area of study, too — just as we have seen in the field of the history of “biblical Israel”, not to mention any particular areas of NT studies. As set out in a previous post, when the Dead Sea Scrolls were discovered they were dated on palaeographical (handwriting) analysis before the time of King Herod (37 to 4 BCE) or at least not later than the earlier years of Herod — before 20 BCE. We saw in the same post how the various scripts were subsequently recalibrated so that they brought the Dead Sea Scrolls into line with the Jewish Revolt of the late 60c CE. The handwriting styles of the Dead Sea Scrolls were aligned so that many of them were fresh and hidden in caves around 68 CE. But how valid are the dates assigned on those palaeographic script charts? Not all scholars accept that recalibration as the final word. A first observation is that the small number of decades separating mid-first century CE from the time of Herod is barely greater than acknowledged margin of error, but that is not the important point. The important point is the circularity in which scribal hands of texts from Qumran’s caves were defined after 1951 as dated as late as the first century CE because those defining the palaeographic sequences believed Qumran scroll deposits at the time of the First Revolt had been firmly established archaeologically. No information in the years since has materially altered this epistemological circularity. Radiocarbon dates on Qumran texts that have been done until now have not altered this picture. — Doudna, Gregory L. 2017. “Dating the Scroll Deposits of the Qumran Caves: A Question of Evidence” in The Caves of Qumran: Proceedings of the International Conference, Lugano 2014, edited by Marcello Fidanzio. Brill, Leiden, Boston. It was believed that a script belonged to the time of the Jewish revolt (66-70 CE). Therefore the script was formally dated in the chart to the time of the Jewish revolt. And the chart thereby became the standard for dating the scripts. All pottery more recent than the Iron Age (age of Assyria, Babylonia, etc) was the product of a settlement in the first century CE era. The second excavation (1953) uncovered activity from the first century BCE. Recall that jar embedded in the floor of Locus 2 — it was of the same kind found in Cave 1 with the scrolls. Coins were found there from the time of Antigonus Mattathias, 40-37 BCE, one right beside that jar. That jar in Qumran’s Locus 2 was now re-dated to the first century BCE. That is, that room was now BCE, not CE. But the first century CE date held for the Qumran “community” by arguing that the room was swept clean and re-used through the first century CE by the “community” or people who would be related to the scrolls. That is, despite the discovery of BCE setting, the CE date for the scrolls failed to budge. 1951 saw the date revised and that revision uncritically held fast despite the new archaeological discoveries. Although excavator of the site Roland de Vaux belatedly acknowledged in a public lecture that the scroll jars in the caves were indeed from the first century BCE (1959) and eventually published the same point (1962) he never provided specific details. I can imagine that such vagueness did little to prod a critical reevaluation of the widespread acceptance of the first century CE date for the scrolls. Two other assumptions filled the gap left by the awareness of evidence that there was BCE settlement activity and the site was not exclusively CE. (b) Scrolls would have continued to be deposited throughout the entire duration of that settlement — that is, they would have continued to be deposited up to the time of the Jewish War. This post is an appendix to How Dating the Dead Sea Scrolls Went Awry — #1. Solomon Birnbaum’s palaeographic dating of the DSS to the mid 1st C BCE was published in the Bulletin of the American Schools of Oriental Research No. 115 (Oct., 1949), pp. 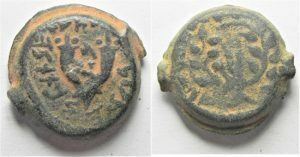 20-22, “The Date of the Cave Scrolls“. For this post I am returning to Gregory Doudna’s 2014 conference paper, Dating the Scroll Deposits of the Qumran Caves: A Question of Evidence. In the 1990s Doudna raised the question of whether the Qumran cave scrolls had been deposited as late as the first century CE. This was the first time since the excavation of the Qumran settlement in 1951 that the question had been raised. In this post I want to attempt to set out Doudna’s explanation of how dating the scrolls went (in his view) so wrong. When the scrolls were first discovered they were dated by Solomon Birnbaum and William F. Albright to the mid first century BCE. 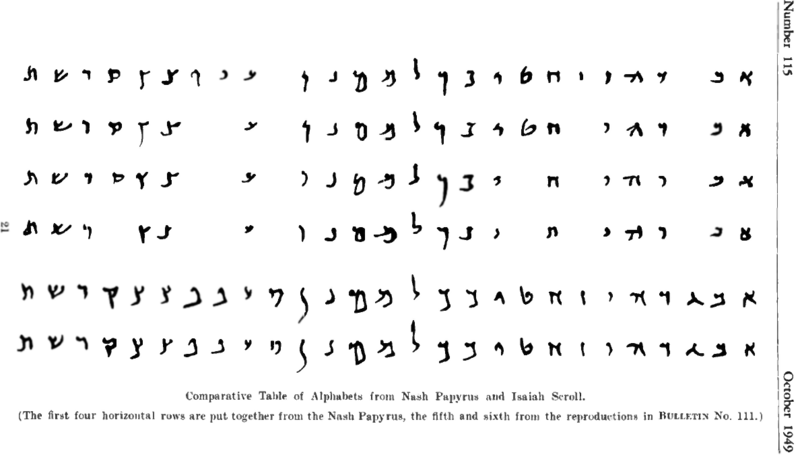 This period was based on palaeographic analysis of the script. Continuing from Qumran Not a Sectarian Community #1 . . . . There was no lack of raw materials suitable for industrial uses in the region and we even have evidence for production of commercial resources but scholars have generally tended to downplay such activities as being only minor side-pursuits of otherwise occupied scribes. We pick up from the previous post by noting the kinds of industrial activities that one might reasonably have expected to see at Qumran as an integral extension of the Jericho royal estate and subsequently under Herod. Keep in mind what such a list would mean for any scribe or monastic sectarian wanting to lodge there. 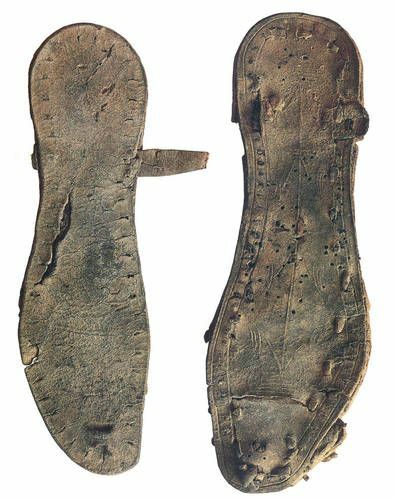 Qumran would have helped meet the high demand for leather sandals and aprons generated by the “intensive building programme of the Hasmoneans and, in particular, Herod.” Winter saw flocks brought into the area where aged animals and surplus male lambs and kids would have been slaughtered for their skins. ‘The tannery is an irritant to everyone. Since the tanner has to handle animal corpses, he has to live far out of town, and the vile odour points him out even when hiding… The vultures are companion to the potters and the tanners since they live far from towns and the latter handle dead bodies’ (Interpretation of Dreams I: 54; 2:20). 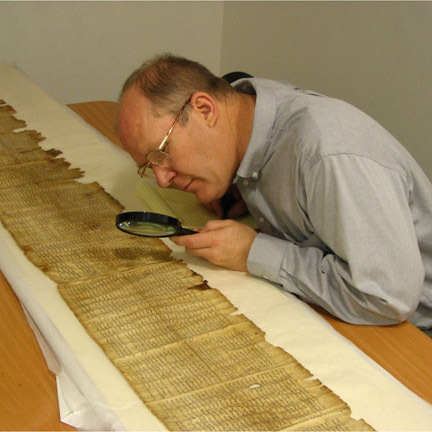 Early archaeologists conducted scientific tests on at nearby Eini Feshka for the possibility of a tanning operation for the production of parchment but apparently with negative results. No-one bothered with similar tests at Qumran, however, because . . . . 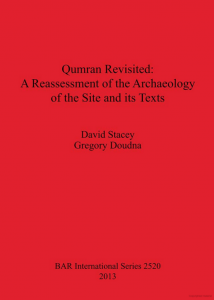 I have frequently heard of doubts that the Qumran (the site of the Dead Sea Scrolls) consisted of Essenes or even of any sectarian community at all, but until today I have not taken time out to read some of the relevant studies. Today I have come across many arguments denying that Qumran was ever a long-term site for a religious community of any kind, and certainly not a monastic-type of sectarian one. Not even Essenes set up base there. So I’ll set out here a subsection of those arguments. I’ve been reading articles, papers and chapters that cried out for my attention directly and indirectly as a result Gregory Doudna’s 2014 conference paper, “Dating the Scroll Deposits of the Qumran Caves: A Question of Evidence” (published 2017 in the conference proceedings, The Caves of Qumran) — see the previous post — and what follows is taken from the chapter by archaeologist David Stacey in Qumran Revisited: A Reassessment of the Archaeology of the Site and its Texts, and that he has helpfully placed online at academia. I set out here Stacey’s argument that is based entirely on the archaeological evidence without any reference to the contents of the scrolls. Of course some may object that this is not fair since the contents of the scrolls are also part of the archaeological finds and they, too, need to be taken into account. So if we read in the scrolls evidence that they were written by a sectarian community, one vehemently opposed to the Jerusalem Temple establishment, for instance, then that information cannot be ignored. Bear with me. By the time we have finished these posts we may be wondering if some of us have rather been reading stories of a sectarian and anti-priesthood community into, not in, the scrolls. One step at a time. Such a circular method — we interpret Josephus’s statements about the Essenes in light of the DSS and then use the alleged parallels to prove the identity of the two groups — could not generate stable results. 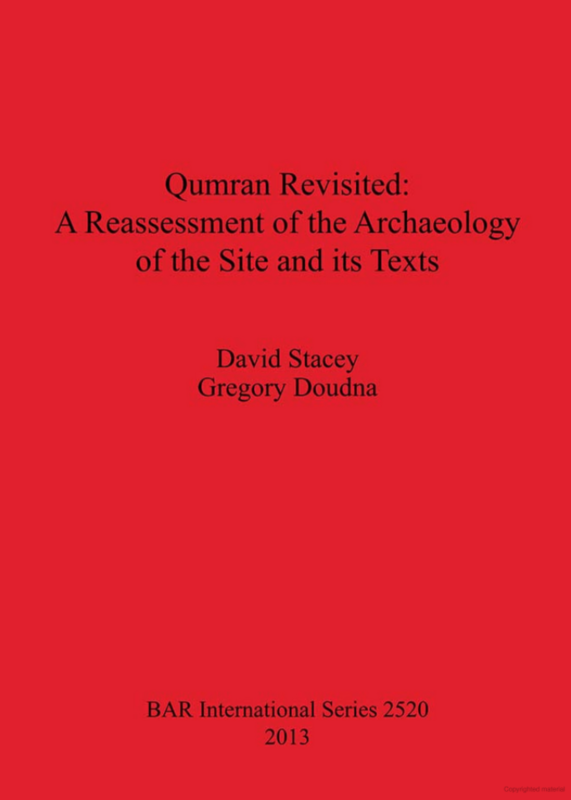 David Stacey begins by noting the circularity of the argument that the Qumran site was a base for Essenes. Stacey’s background as an archaeologist is in studying sites nearby Qumran (e.g. Jericho) from the same general period. His conclusion is that the Qumran site was for most of the two centuries either side of the BCE/CE dividing line a seasonally occupied malodorous site producing leather, glue and dyes for wool. It was deserted every summer when it became “unendurably hot” for both humans and flocks. Not a very romantic picture, is it. Stacey better have some good arguments if we wants to shatter illusions of a scholarly community happily withdrawn from the outside world and dedicated to writing and studying scrolls. The concept of a community of poor sectarians isolated in the desert and busily writing scrolls has some obvious appeal for scholars labouring in the ivory tower of academe, or for theologians sequestered within their own esoteric communities. Furthermore it is the romantic, mystical aura that has been generated around Qumran that sells semi-popular books, fills lecture halls, and brings in the tourist, not the unremarkable ruins themselves. 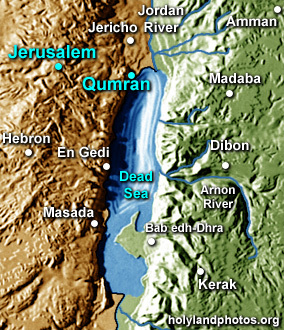 Qumran was only one of several sites along the western littoral of the Dead Sea to be developed during the Hasmonean period, most probably by Jannaeus [103-76 BCE], who, eventually, gained control of land to the north-east of the Dead Sea where he established a fortress at Machaerus, c. 90 BCE (War 7.6.2). Harbour installations were built at Rujm el Bahr and at Qasr el-Yehud/Khirbet Mazin (Bar-Adon 1989) and a large structure at En el-Ghuweir was built (Bar-Adon 1977).37 Further south Ein Gedi continued to be a thriving settlement. 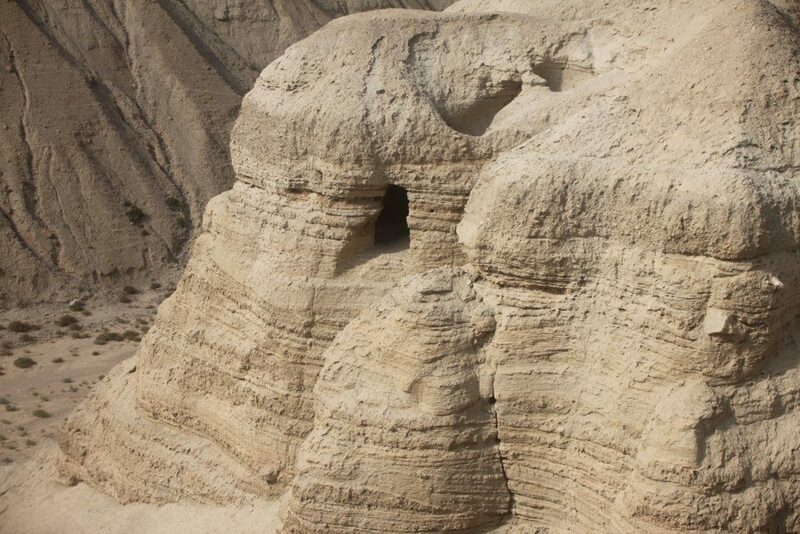 Qumran was thus ‘a veritable maelstrom of activity rather than an isolated ascetic site’ (Hirschfeld 2004b: 213). Similar scenarios are depicted for the later Herodian period. To give some background to that preceding quotation notice what the Qumran tower indicates. All historical references within the Dead Sea Scrolls pertain to the second and first centuries BCE; there are no allusions to any persons or events after Herod’s taking of Jerusalem in 38 BCE. The common view that on the basis of palaeography that the scrolls date up to the time of the first Jewish revolt against Rome has been based on circularity and flawed assumptions. Biblical texts found at sites other than Qumran, between Herod and the Jewish revolt, all contain carefully copied exact-Masoretic text type (i.e. were carefully and exactly copied in agreement with the basis of our Old Testament books) yet the Qumran biblical texts are varied in their copying (i.e. they followed no standard text). The simplest explanation is that the Qumran texts represent a pre-Herodian time when the text was not standardized. 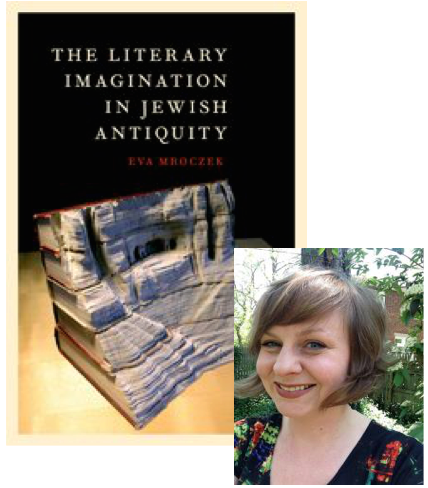 Doudna suggests that the I would like to revisit some of my recent thoughts and posts arising from Eva Mroczek’s The Literary Imagination in Jewish Antiquity to consider whether this data has implications for some aspects of just how loose were the concepts of “sacred scriptures” and “canon” in the Second Temple era. Off to JSTOR to locate Wise’s article, then: “Dating the Teacher of Righteousness and the Floruit of his Movement,” JBL 122 (2003): 53-87. There’s an entire post there just to draw out the substance of that claim. Wise further points out the evidence against the once popular idea that there was a single community of scribes responsible for the copying of all of the scrolls. The intensely personal tone of the songs known commonly as Thanksgiving Hymns stands in sharp contrast with the rest of the scrolls. The author speaks of himself in the first person and recounts an agonizing history of persecution at the hands of those opposed to his ministry. In addition, the writer describes having received an empowering spirit granting him special insight into God’s will (1QH3 4:38), opening his ears to wonderful divine mysteries (9:23), using him as a channel of God’s works (12:9), and fashioning him as a mouthpiece for God’s words (16:17). Indeed, in col. 26, he claims that no one compares with him, because his office is among the heavenly beings. These are bold affirmations for any leader, reminiscent of various messianic claimants of both ancient and more recent history. The unique personal presentation of the work and the self-conscious divine mission of the author have led many researchers to conclude that the psalms were written by the Teacher of Righteousness himself. Some students have attempted a more refined analysis in order to isolate “true” Teacher psalms at the center of the collection (cols. 10—16 according to one, 13—16 in the eyes of another; see Hymns 10—13,15—20,23), noting that the themes of personal distress and affliction as well as the claim of being the recipient or mediator of revelation are especially strong here. Only one thing is sure: the debate will continue. Michael Wise, Martin Abegg Jr, and Edward Cook, The Dead Sea Scrolls: A New Translation, 2005. pp. 170-71. But over time, as Max Grossman has shown, scholars began to question the idea that the Teacher of Righteousness is the “author” of these texts—that this figure is a historically locatable individual who can be imagined as an individual creator of the textual products of the Qumran community.34 With regard to the poetic Thanksgiving Hymns, it is doubtful that they can be used to reconstruct the historical and interior life of a specific individual. An excellent critique of the tendency to read the Hodayot as autobiography comes from Angela Harkins,35 who argues that such a reading is rooted in Romantic ideas of individual authorship that are foreign to Jewish antiquity. . . .
After reading through a whole batch of Qumran Thanksgiving Hymns I turned back to continue my draft post only to discover it had for some time escaped into the real world of RSS feeds, emails, and this damn blog. I have since shot it down from public view. So if you are trying to find it via a subscription link it ain’t here no more.